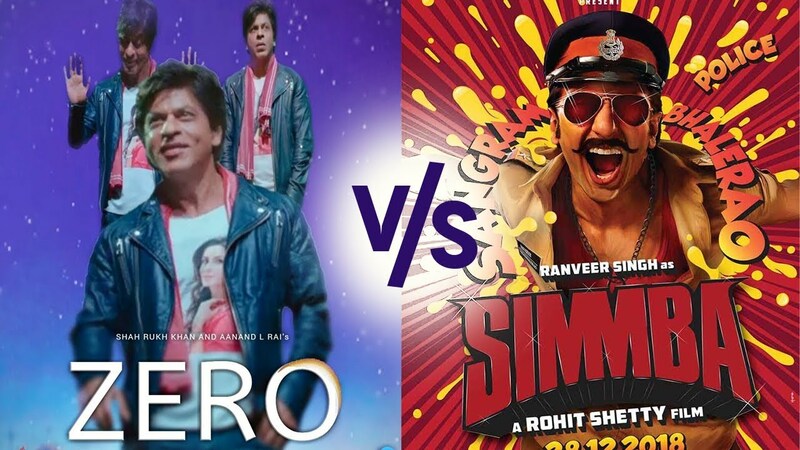 Simmba movie clash to Zero movie ? Simmba is an upcoming Indian film directed by Rohit Shetty and produced by Karan Johar‘s Dharma Productions. It stars Ranveer Singh, Sara Ali Khan and Sonu Sood in lead roles. The film is a remake of 2015 Telugu film. Principal photography began in June, 2018. The film will release on 28 December 2018. Movie is all about Masala movie of bollywood, full of Entertainment, comedy, some Romantic touch and also its a Rohit shetty’s films we watch lot of Actions in a Simmba movie. Ranveer Singh first time working with Rohit Shetty and also a first movie of Ranveer Singh after his Marriage. Rohit shetty is a successful director of bollywood mainly specialised in Action movies. He’s the hero of the Action movies. Some of Super hit movies of Rohit Shetty like he’s first time working with Srk in Chennai Express, and CE collects 245 crore in India only. CE proves a very super hit movie of Rohit Shetty with lots of actions, comedy and romance. Actually Rohit Shetty’s movies is the mixture of Action, comedy and romance in a movie. They always gave entertaining movie to Public. He’s previous movie Golmaal 3 is also super-duper hit movie at box-office also, movie have a very good business at Cinema Halls. Golmaal 3 movie collects above 200 crore only in Inida and above 300 crore mark in worldwide. Another one is Dilwale Direct by Rohit Shetty, Dilwale is also a fantastic movie and have a good business at box-office. In short Rohit shetty is superb director to making a movie flow also. So, as we all aspect that Simmba movie also a block buster. First time Ranveer Singh working with Rohit Shetty and Sara Ali Khan also, people excited to watch both of them together. Music direction is also good in a film. 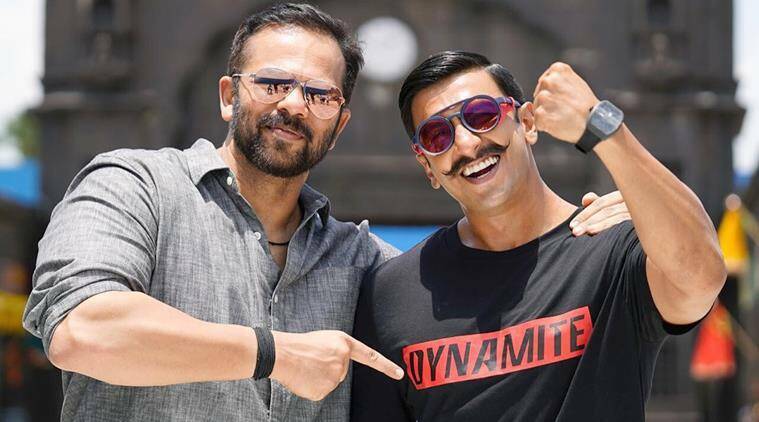 Previously Simmba clashed with Zero movie, but on the special request of Srk to Rohit Shetty that release date of Simmba postponed if possible? So, friendship of Rohit Shetty and Srk is a good, and bond between them are also strong. Because previously Rohit Sheety doing 2 movies with Srk. So, Rohit Shetty agreed the date of release of Simmba is shifted to 21 to 28 december 2018. Advantage for Srk, his movie Zero have a Solo release and 1 week free run also at Cinema Halls. Ranveer Singh as a ACP Sangram Bhalerao in a movie role, and lots of dialogues, actions, masala in a movie. At a occasion of new year people love to watch these types of movies with lots of Entertainment in a movie. Very entertained talented Ranveer Singh always have a great acting skills shown in his previous movies, and gave to bollywood always some inspirational messages movies like – Bajirao Mastaani Directed by Sanjay Leela Bhansali, Padmaavat also Directed by Sanjay Leela Bhansali. So, People crazy and excited to watch the movie in fact at the occasion of new year people wants enjoyment and entertainment. So people all are have in a movie. Releasing date 28th December must Go Watch and Enjoy the movie.